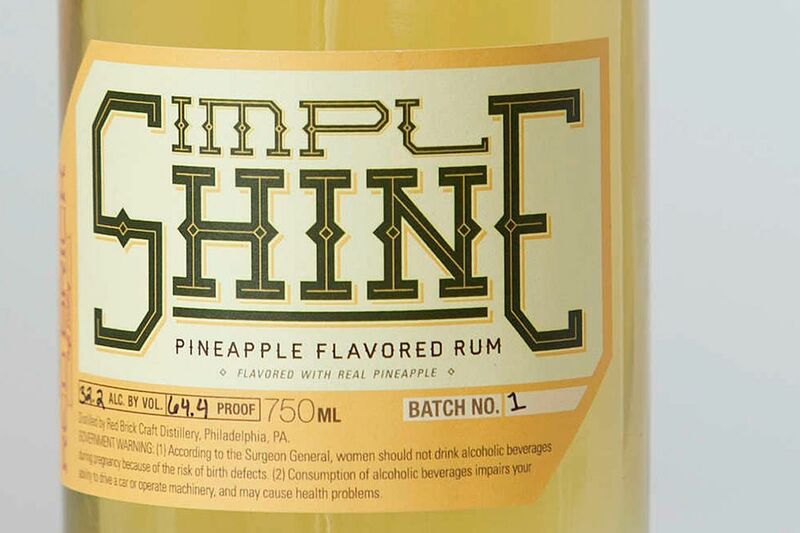 Simple Shine, pineapple-flavored rum, from Red Brick Craft Distillery. Philly's artisan spirit scene continues to steam along with another worthy new player. Red Brick Craft Distillery opened to the public in January in a rehabbed former widget factory in Kensington. But its more creative and aged spirits are only just debuting this fall. Among them is an impressive (albeit still young) small-barrel malt whiskey made from Pennsylvania grain (plus a dash of Massachusetts chocolate malt for dark intrigue). I'm also looking forward to the October release of From the Woods, a unique spirit distilled from mead that's vividly steeped with local birch wood. The bottle that most surprised me, though, was Simple Shine Pineapple, a basic white rum that is turned golden with an infusion of fresh pineapples - nearly five for every gallon. The result is a naturally juicy spirit that's not overly sweet, and that offers a nice alternative to the artificial taste of other popular tropical spirits. Logically, Fishtown's tiki bar, the Yachtsman, has been working out the possibilities, including a piña colada that raises the pineapple quotient to a high degree. Aside from a dose of Simple Shine, fresh coconut cream, ice, and more fresh pineapple, this frozen drink for two comes inside the hollow of the fruit. Simple Shine Pineapple, $28.99 750 ml bottle, Red Brick Craft Distillery, 2628 Martha St., 267-603-3790; redbrickcraftdistillery.com; the Red Brick Piña Colada is $10 (or $18 for two in a pineapple) at the Yachtsman, 1444 Frankford Ave.